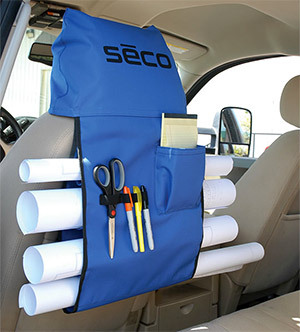 The Seco 8046-10-BLU Drawing Plan Holder hangs on the back or front of any vehicle seat and holds four 6" diameter (or smaller) sets of rolled drawings or plans. These work great in Work Trucks and SUV's to hold your drawings safe and out of the way. 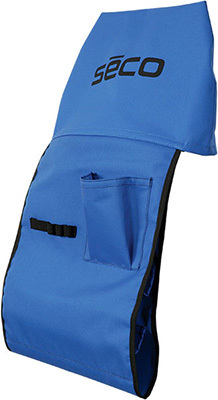 Get organized today with a over-the-seat blueprint holder.